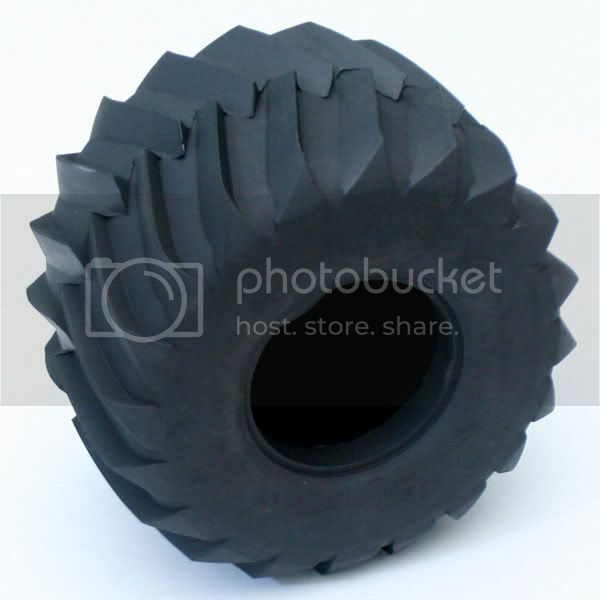 The B&H monster truck is a high-traction racing clod tire that also adds scale appearance to your Clodbuster. Lighter weight than the stock tires provide faster lap times, quicker acceleration & braking. Perfect for loose dirt and grassy tracks, the oversized cut cleats in these tires provide ultimate traction! These are a direct fit on to the stock Clodbuster/Bullhead/TXT wheels, as well as all aftermarket Clodbuster wheels. Note: These tires are sold in pairs with foam inserts included. Two pairs are required for a complete truck. 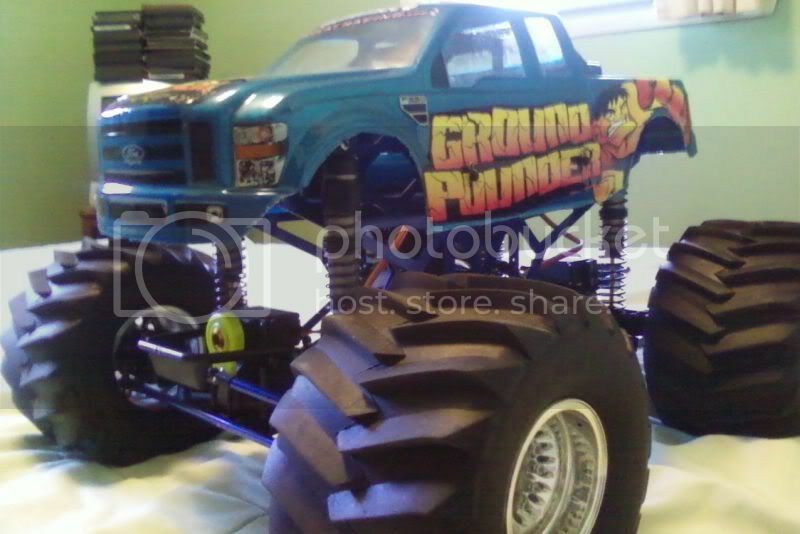 Ground Pounder pictured is sold separately. Shipping Charges: Our shipping charge for tires is $8.50 for the 1st item and $5.00 for each additional pair purchased.